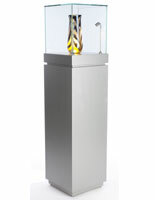 This illuminated pedestal gallery display has a clear acrylic base that fits snuggly onto the sleek silver column with brushed finish. 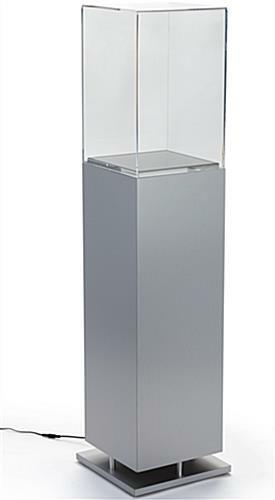 This case looks beautiful and modern in a museum or retail boutique. 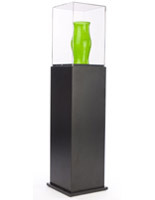 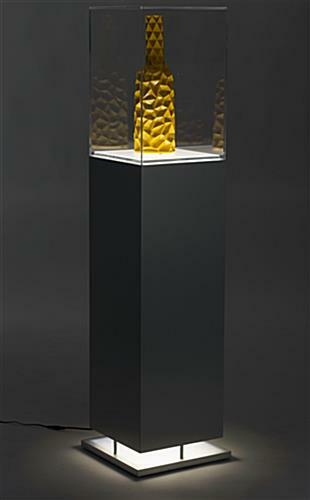 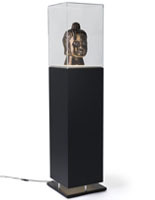 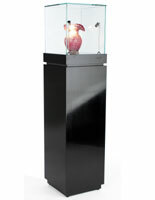 This pedestal gallery display with its square shaped top is LED-illuminated so contents are bathed in an ambient glow. 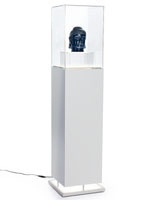 This gallery display is a great way to get displayed items off the floor and at eye-level so visitors can see the details. 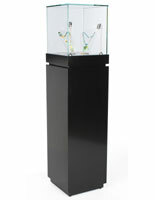 Mount this showcase in a central location on a showroom or gallery floor where it can be seen!